Israeli-born Sydney chef, Michael Rantissi, believes that good food is worth sharing. Sharing with loved ones, friends, family, any occasion, anywhere. His Redfern establishment, Kepos Street Kitchen, unites people at the table, with share plates laden with falafel, labneh, spicy dukkah and warm pita bread to indulge in, together. This love for sharing is also why Michael has teamed up with his partner, Kristy Frawley, to create Falafel for Breakfast - a cookbook filled 140 recipes all designed for sharing, while opening up a new world of glorious Middle Eastern flavours. Inject some exotic flair into your cooking, and experiment with Michael’s Baked Whole Snapper with walnuts, chilli and tahini dressing, Dukkah Crusted Lamb Cutlets with Mint and Pomegranate Sauce, or Persian Pavlova with pomegranate seeds, crushed pistachios and rose petals. With tantalising, full page colour photography throughout and an array of recipes to cater for breakfast, lunch, dinner, and beyond, every meal will be transformed into a Middle Eastern feast! 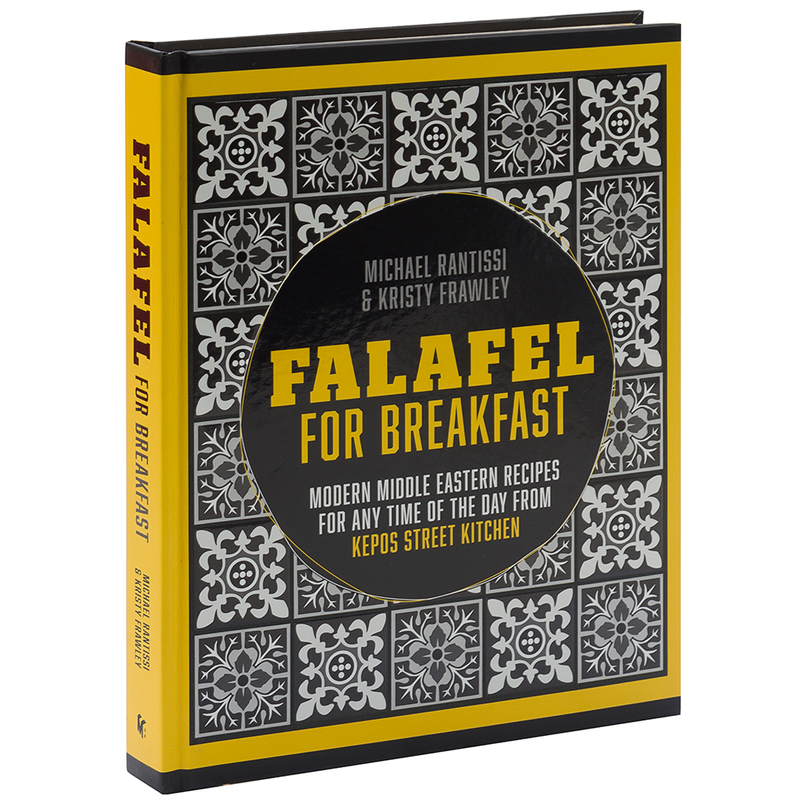 Authored by Israeli-born Sydney chef, Michael Rantissi and partner, Kristy Rawley. Includes 140 easy-to-follow Middle Eastern recipes. Separated into eight chapter, outlining Breakfast and Brunch, Breads and Pastries, Snacks, Salads and Vegetables, Dishes for Sharing, Cakes and Desesrts, Drinks and Teas and Kitchen Fundamentals. Sample banquet and date night menus. Stunning full page colour photography throughout.